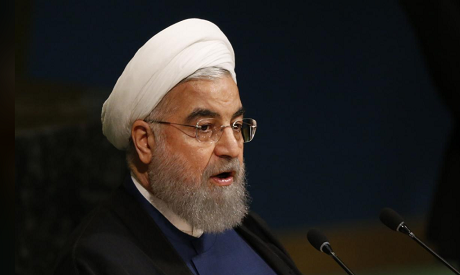 Iran will be ready for a new satellite launch in a few months’ time after a failed attempt this week, President Hassan Rouhani said on Wednesday, ignoring U.S. and European warnings to avoid such activity. Iran’s bid to send a satellite into orbit failed on Tuesday as the space vehicle, named Payam, did not reach adequate speed in the third stage of the launch. France’s foreign ministry on Wednesday condemned the abortive launch and urged Iran to cease ballistic missile tests, which Paris sees as of potential use for nuclear weapons. “The Iranian ballistic programme is a source of concern for the international community and France,” foreign ministry spokeswoman Agnes von der Muhll said in a statement. Western powers are concerned that the long-range ballistic techology used to put satellites into orbit could also be used to launch nuclear warheads. But the pact is now at risk after President Donald Trump withdrew the United States from it, in part because it did not cover Iran’s ballistic missile program, and reimposed tough sanctions on Tehran.